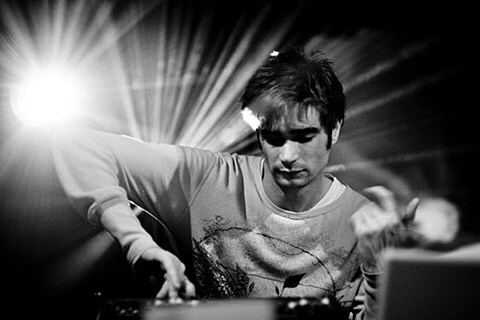 As discussed, UK electronic musician Jon Hopkins is returning to North America this month for Warm Up at MoMA PS1 on August 31. It’s one of the better Warm Ups this year, with live sets from indie bands Liars and IO Echo, plus ’90s Chicago house vet Cajmere, and another solid UK producer Lil Silva. Tickets for that show are still available. 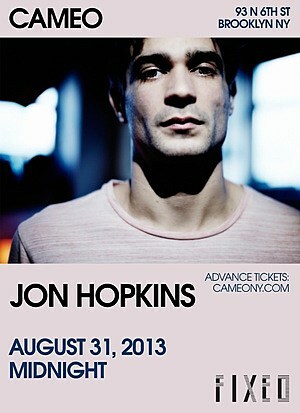 After Warm Up ends, Jon Hopkins will keep the party going by heading to Cameo for a midnight show. Tickets for that show are on sale now. Flyer below. Jon’s new album, Immunity, is one of the most forward thinking dance albums of the year, and if you hadn’t heard it, you can listen on Spotify and stream a track below. Lil Silva will also be playing a late show in Brooklyn that day. HIs is a LAZERPOP party happening at Glasslands (11:30 PM) with L-Vis 1990, Slava, and Peter Fonda. Tickets for that show are on sale now. He’s releasing a new EP, Distance, next week (8/5) via Good Years. You can watch the video for its track, “No Doubt,” along with a list of all dates, below.